Desh Bhagat University (formally known as Desh Bhagat Group of Institutes) is situated in Punjab and came into existence in 2012 under Punjab Govt’s Desh Bhagat University Act, 2012. This private university is popularly known as DBU and motto of this well-known university is Innovation, Research and Entrepreneurship. The philosophy of the great freedom fighter Sri Lal Singh Ji played the very crucial role in the establishment of this university. This reputed university is recognized by various organizations like UGC, AIU, NCTE, PCI, COA and BCI. 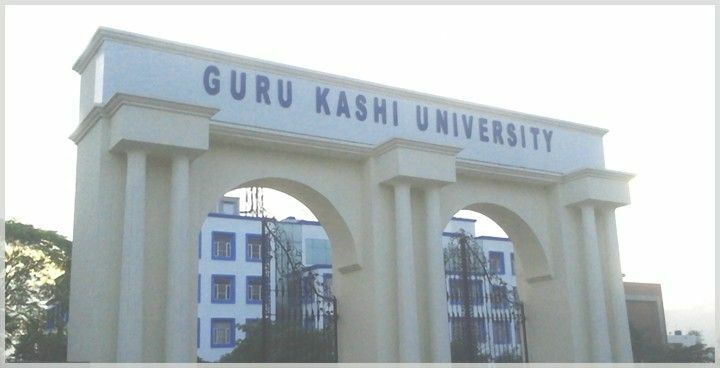 This University has four campuses located at Amloh, Shri Muktsar Sahib, Moga and in Kenya. All four university campuses are WiFi enabled, spacious and well equipped with all modern facilities like hostels, sports complex, canteen, mini market, gym, library, lab etc. This University offers more than 350 courses in almost 50 different streams at Under Graduate, Post Graduate and Doctorate level. All course curriculums are more emphasized on hands-on experience is designed by eminent academicians. According to the NIRF (National Institute of Ranking Framework), it holds the 2nd position amongst all state universities of Punjab. It provides a good academic and extracurricular environment to its students. Apart from these this university is known for its excellent placement cells. The admission into most of the UG and PG programs is on the basis of merit marks scored in the 10+2 and Bachelor course respectively. For some courses like BAMS, LLM, MPhil, PhD etc. the university conducts its own entrance exam. To apply in varied courses offered in this university interested candidates can apply online by visiting the official website. The candidates have to click on the tab “APPLY ONLINE” and then click on new registration. Then fill the Stream (UG, PG etc), category and three preferences of courses. The next step involves filling of personal and academic details along with uploading of photograph and signature. The fees of the application form are Rs 4000/- which can be paid either online through internet banking or by a demand draft in the name of the institution. Once fully filled the form can be submitted and candidates must download the form for future reference. Desh Bhagat University offers a variety of courses. Admission to each course is through the national level examination conducted by the organizations. For example- for M tech course GATE is considered, for medical courses NEET is valid, For B.Tech courses, JEE is preferred. The merit list for each course is formed according to the respective examination. The candidate then attends the counseling at the institution and can confirm the seat by submitting the required tuition fees. However, another way of getting admission into this institution is through direct admission where the seats which remain unfilled are offered according to the marks in recent qualifying examination. And further, the same procedure is followed. 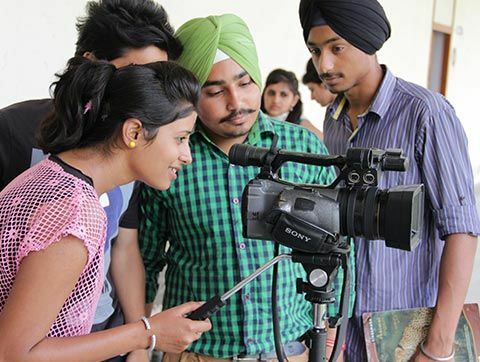 Desh Bhagat University is located in the state of Punjab and has its subsidiaries in various districts all over Punjab. Its campus is located in a totally pollution free environment, with lush green surroundings. Facilities available at the campus are 24/7 internet facilities, AC classrooms, well-developed computer labs, up to date digital library, conference halls and playgrounds. Other facilities are transportation for students, health center, cafeteria and a mini market. Separate hostels for boys and girls are available at the university. Each hostel is provided with modern infrastructure and all the basic amenities. Rooms have attached washrooms along with a table, a chair, a cupboard, and Wifi. The option of AC rooms and cooler rooms is present at the hostel. The hostel also has recreational rooms and a mini library. Various clubs at the university are a sports club, NSS, cultural club, Debates society, photography club and research development club. I chose this as it is one of the best technical colleges in the city and belonging from the city itself i felt that this was the perfect choice for me. 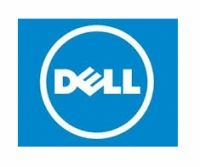 I applied though my score in common entrance test conducted by the Punjab Technical University with a good score, I took admission into B.tech stream in Computer science engineering in 2015. Almost 85% of the seats are reserved for state students and remaining 15% go apply through JEE score. And i have been surprised by the college in a good way. I did not except this college to be this good and the faculties are one of the reasons why I say this. Our fee structure is really reasonable with Rs 58,500 per year and for 4 years the total with some misc expenses came out to be around. The best part is Our college a tries to assist you to get loans when students who are interested in getting loans. Our college and its placement record is next to none, the dedicated placement cell is the main reason behind the placement record of our college. They provide 100% assistance in placements but its up to the students to show their caliber and crack the interviews and get placed. Some of the companies that visited us are IFB, TATA, Cadbury, Axis Bank, Cipla, IBM, Eastman, The Hero Group, Su-kam, Godrej, Dell, Sigma, HP, Swaraj Mazda, KFC, HCL, Wockhardt, Henkel, Reliance, ICICI Bank, HT, Johnson & Johnson etc. Hostel facilities and mess food was of little above average quality. Not of too good quality. Rest the rooms and everything else too is also average. The college is in its early days so the alumni base is not that big. I would like to suggest that the college should try to keep a good network with its alumni. All the faculties are really experienced in their field will good ties with the industries. They are one of the reasons why we see such good companies come in for placements. 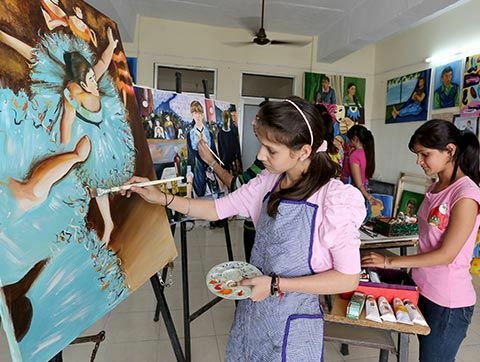 Campus life is amazing, not only you will explore the academic environment but also you will be provided a platform in various other aspects like the practical aspects, since the college has a state of the art practical labs and will also encourage you to take part in co-curricular activities for your future development. Although the college is little strict during the exam and the schedule is tight. And the University decides when to conduct exam and when to declare results. Yes, our college provides assistance in getting internships and also encourages to take up different courses which will facilitate in the final placements. I took some value addition courses and this was one of the reasons i got placed in my final placements. No scholarship or any loan is powered by our college even the student scored 90% marks. They only need is the fees every semester. Even the top scorers are not promoted. Our college is an excellent choice for education and it also imparts ethical, value based education in the ever changing Business world. I'm a student in the college. I got though the college via CAT with a percentile of 40. I received a mail about my selection and I was asked to come to the college for the next round of selection process that is GD/PI sessions. The GD session was easy you can crack it. The interview process is even easier. The fee structure is really cheap and feasible and the college also has ties with bank for assisting you with loans. The College's placement team gets a lot of Companies for placements. The placement officer in College helps its students on how to crack job interviews and make the right decision in their life. Being a day scholar i dont have much info about the hostel facilities offered by the college. Our seniors help us in projects, and also guide us through different Internship processes. Sometimes our alumni come for visits and guest lectures. This gives us a lot of insights regarding the working atmosphere in different companies. The Faulty members have relevant industrial experience. The Faculties try to bring the industry experience into class and make sure the tehory is relatable and make the classroom learning interesting. This knowledge sharing session helps the students to come across the Corporate World. Our college has great facilities in the form of Labs, Instruments, WiFi, Library, etc. The College has a good cafeteria which is the place to be during the breaks. You get a lot of different types of foods. All facility is available. Since the college has a state of the art practical labs and will also encourage you to take part in co-curricular activities for your future development. Off campus Internship as well as on campus Internship are provided by the college. You can get your own Internship with your links and also get into good companies that come to the college for interns. Companies for all domains come in like for marketing, Finance, Operations and HR. Some students also get PPOs. Most of these companies also offere stipend enough to cover you minimum expenses. I dont think the college provides any loan facility but i beleive they do provide you scholarship. I took none of them so i dont have knowledge about this. You can contact the college regarding they will be able to help you and provide right info.